This comprehensive book describes the distinctive style of human service delivery known as ‘strengths-based’ practice. Pivotal to this approach is equal partnership and respect between people, or ‘power-with’. Also fundamental is the belief that everyone has strengths and that mobilising and sharing strengths is the key to building hope and creating positive change. Author, Wayne McCashen, has provided training and consultancy services in the strengths approach to hundreds of organisations. In a remarkably clear and synthesised articulation, this book gathers together the principles, beliefs, skills, tools and frameworks that help create effective, socially-just ways of working with people. Since its first publication in 2005, this book has gained an international reputation. It is as an essential text in many university courses and is sourced by government departments, schools, and organisations adopting strengths approach frameworks and policy as best practice. This revised and expanded second edition contains substantial new material throughout including practice stories, reflective exercises, expanded discussion of strengths, social inclusion, strengths-based questions, supervision, client-owned recording and much more. The new edition will put ‘parallel practice’ squarely on the strengths agenda, challenging organisations to embed strengths-based, power-with practices at every level of their operations. NOTE: This book is now available as an e-book. To find out more click here. Note: These stories relate to the first edition of The Strengths Approach. Wayne McCashen’s work in counseling and social work in rural Victoria has led to the production of a number of useful resources that are available via the St Luke’s website—you may be familiar with their strength-based and angel with attitude cards, or their bear stickers. Wayne’s latest book, The Strengths Approach, works from the premise that individuals or groups construct meaning from their own experiences, that they know what their key issues are and can tailor-make their own solutions using their own resources. Beginning with the strengths-based values base, the book describes a flexible five column framework that enables facilitators to work with, rather than on, people’s issues. Using this framework, the facilitator asks questions to evoke concrete descriptions of situations, of what is working, available resources and strengths and, importantly, a desired future state. Attention is shifted from perceived issues towards achievable solutions that draw from the knowledge, the skills and resourcefulness of the client rather than the worker. The aim is transformation through self-determination. In keeping with the philosophy, the processes are seen as simply a means and not placed above the basic principles of accountability and user-ownership. The book has ample examples of how users can adapt the techniques and remain in control of information and activity. The philosophy of building on strengths is very familiar to those of us with experience of early childhood education and care. It endears me to this successful model that can make it work for all. It fits well with the constructivist perspective of the South Australian Curriculum and Standards Accountability Framework, the appreciative enquiry model and the work of Virtual Village enabling committees. Most importantly, it is dependent on the identification and diffusion of power imbalances, both within organisations and between them and those they work with. DECS Family Day Care has been working with Wayne McCashen over the last two years to improve its ability to work through day-to-day and long-term planning at a local and organisational level. We are now working with partners to encourage and develop the use of strengths-based practice by both staff and careproviders. I recommend this very practical book to all. ‘Relief and gratitude have replaced the anticipation and barracking over the many years that ‘Wayne’s book’ has been in the making. And yet there are no surprises in Wayne McCashen’s book, The Strengths Approach. It’s not the latest text heralding the latest research to support the latest in therapeutic effectiveness. In his foreword David Epston has described The Strengths Approach as ‘modest but remarkable’. This could not be higher praise. Most of our clients live modest but remarkable lives. Having been part of the development of the strengths approach at St Luke’s Anglicare (Bendigo, Australia) and having offered training in this approach with Wayne and now solo, this book is like a talisman. It is a significant reference book for anyone studying or working in human services. Dozens of people have, like Oliver Twist, asked for more at the end of training workshops because they too are hungry for what is essential nourishment for the human services practitioner. And what is that? A deep respect for human beings and a socially-just work ethic based on values and beliefs necessary for empowerment and self-determination. It’s about liberation and valuing commonalities as human beings and a framework in which to apply these values. The Strengths Approach will inspire confidence in those new to the human services, be a reminder to those who have strayed and be a gift to anyone who is interested in a philosophy for living that grows an environment of hope—and in which change is possible. It shows how to work with others in a way that honors an individual’s uniqueness and respects their right to self-determination. It is a workbook for practice, supervision, and community development. It provides a structure for any solution-finding exercise using socially-just and client-driven practice. 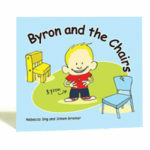 Wayne’s generosity in creating examples, tables and diagrams in the book provides an inbuilt tutor. It is an invaluable resource for every team or work group for learning and reflection. Wayne shows us just how to ‘get into the corners’ of our practice in human services work. He takes us beyond current ‘models’ of practice to illuminate the broader constraints to change, which can involve the misuse of our privileged and power-laden roles in assisting those with less power and influence. This is reinforced powerfully in the discussion about parallel practice. He has thrown down a challenge to managers and organisations to ‘walk the talk’ of social justice. Although the notions and language associated with “strengths based practice” are being increasingly replaced with language of “responsive practice”, the logic, processes and examples provided in this excellent book are recommended to child and family protection practitioners. This book represents Wayne McCashen’s experience and wisdom as a senior trainer and consultant for St Luke’s nglicare. Wayne has inspired and challenged many workers over the years to examine their practices and really think about their clients’ needs and wishes in a positive and constructive manner. St Luke’s Anglicare is described as major provider of child and family services throughout New Zealand and Australia and Wayne’s work on strengths based approach to working with families, children and communities has been seminal to contemporary social work and community practice in this country and the book reflects a depth of practice wisdom. 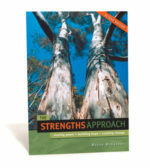 The book has nine chapters providing practical tools and simple explanations to the strengths based approach. Each chapter is laden with examples of strengths based practice and child and family welfare case examples. In my opinion there are possibly too many examples but each is relevant and builds the novice reader’s understanding of strengths based practice. There are also some strong examples from the statutory child protection situations highlighting strategies to improve the power imbalance between workers and clients. From the first chapter which describes the philosophical base for strengths based practice to the last chapter which focuses on community building, the dominant underlying theme of the book is about addressing power imbalances and engaging clients in the process of helping themselves. Other themes of enabling people to be their own agents of change and the identification of social, personal, cultural and structural constraints to self-determination are also evident in all chapters. By focussing on strengths as opposed to problems or issues, the book convincingly argues that the more positive approach both empowers and energises the relationship and improves the efficacy of interventions. In particular the brief section examining strategies for overcoming the power conferred by “expert” status should resonate with College members. 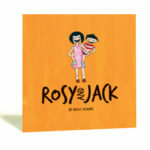 As alluded to previously, the book is more suited to beginning child and family practitioners and would be a useful addition to many community and statutory services’ libraries. Because the book and content is based on Australian and New Zealand’s child and family welfare systems, it would also provide a valuable resource for the academics in both undergraduate social work and post-graduate child protection courses. St Luke’s Innovative Resources section publishes a wide variety of tools and information to support good child and family practice.